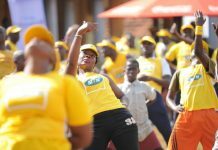 For a club that survived relegation by a whisker last season finishing 13th in the Uganda Premier Legaue, Express FC seems to be on track to regain it’s lost glory under their new chairman and prominent city lawyer Mr. Kiryowa Kiwanuka whose first step has been to bring Equity Bank on board as partners of the football club. 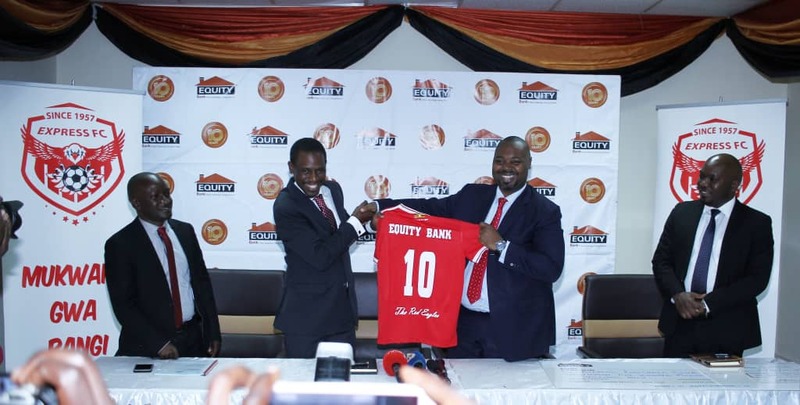 Yesterday while addressing the media at the Equity Bank head quarters located at church house in Kampala, the club chairman and officials from the bank unveiled a new product known as the Equity Express Card. This card is an innovation that will see the fans of express football club access all home games at the Wankulukuku stadium very easily and at a reduced fee. The card will also double as an ATM card as fans will be able to pay for various services in and out of the country. 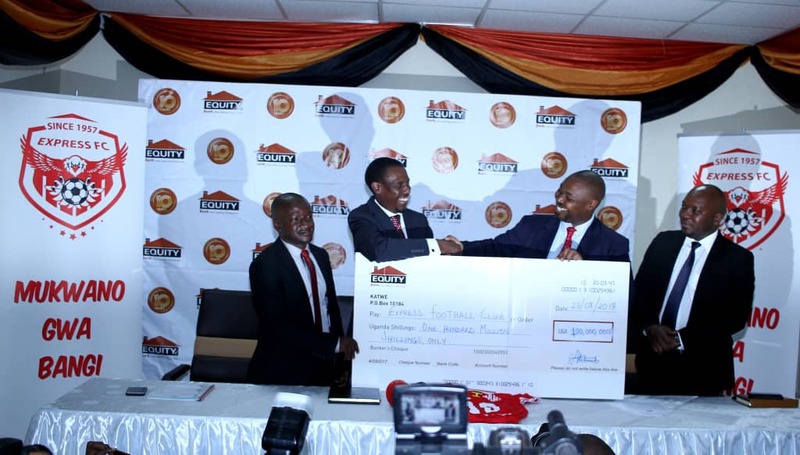 100 million Uganda shillings cheque was also handed over to the club chairman by the bank officials as a boost to help in the day to day runnings of the club. 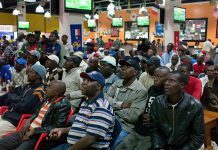 They further stated that more money will be availed to the club as of when need be. The partnership between Express FC and Equity Bank will run for a year and it will be renewable depending on performances on and off the pitch. Mr. Kiwanuka didn’t also mince his words about restoring discpline at the club. He said that this is a new era and indiscipline by both the players and the fans had no more place at the club. 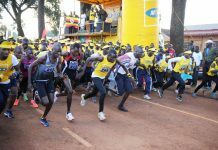 When asked about his target for this season in a league that starts in close to two weeks time he confidently stated that he is looking at a 4th place finish. Previous articleBryan White praises the Arua Community, promises to go back.